Doyle pairs unrivaled, locally-based security monitoring centers with the lastest in security equipment. 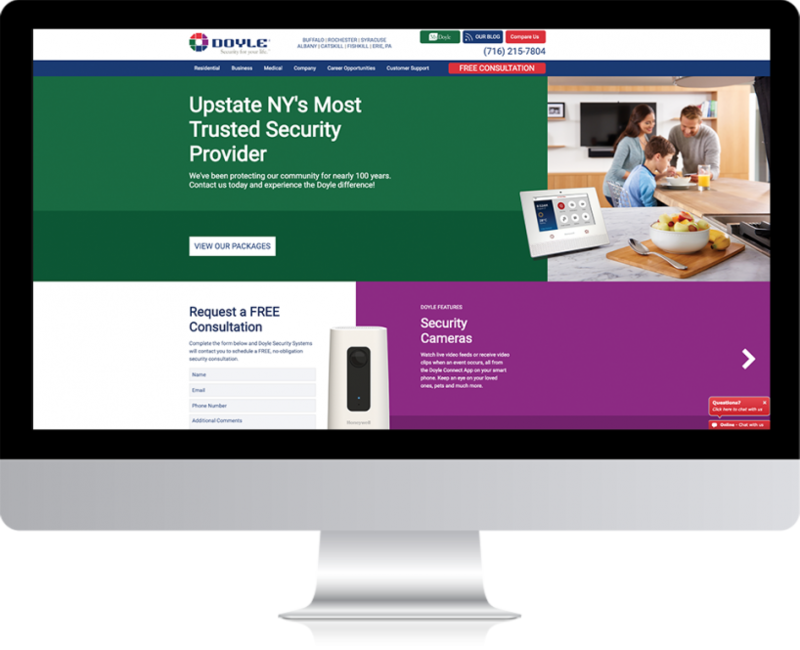 Tasked with designing and building a homepage refresh, we aimed to highlight Doyle’s true value – a commitment to customer service the big guys can’t offer while delivering quality equipment the big guys do offer. 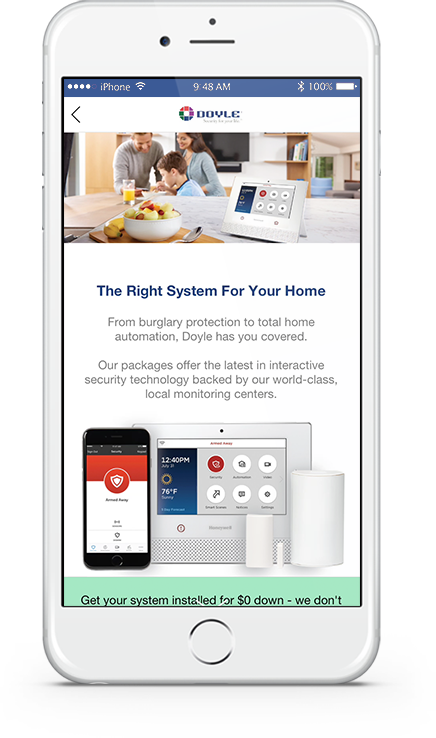 The homepage is highly interactive with a features slider, video content, and popup provider comparisons. 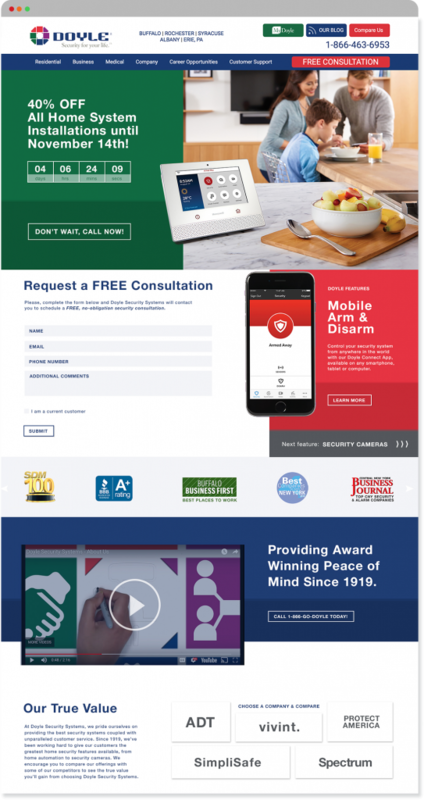 Traditional display ads serve across Google’s display network to encourage re-engagement from users who did not convert the first time they visited Doyle. 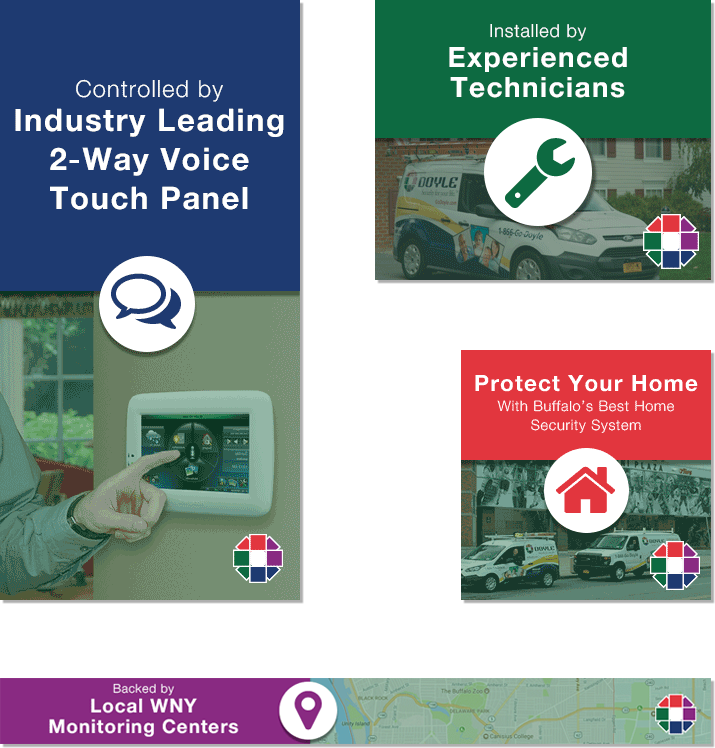 Our ads pop with brand colors and tailored messaging about a few of Doyle’s unique benefits. On Facebook and Instagram, we tested instant experiences against traditional landing pages. Instant experiences are highly interactive for mobile users and load nearly instantaneously when compared to traditional landing pages.